JYP Entertainment will formally showcase Stray Kids, its newest heavyweight in the boyband department, at Jangchung Stadium in Seoul. 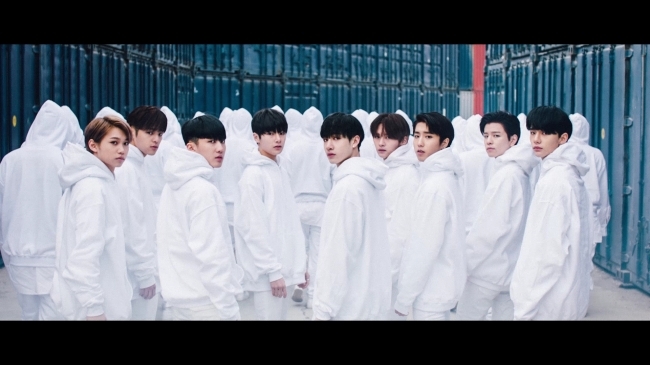 According to the agency, the debut showcase for the nine-piece K-pop act will take place at 6 p.m. on march 25, titled “Stray Kids Unvil [Op. 01: Iam NOT].” It marks the first time in four years since JYP is debuted its last boyband, GOT7. Along with the news, JYP also unveiled the poster and trailer video for the show. Stray Kids consist of winners from the Mnet competition program of the same name, aired last year. In the program, the members showed off not only their singing and dance skills, but also their ability to write and produce songs and design their own concepts for the stage. Prior to their “official” debut, JYP offered a peak at the new boyband via the “pre-debut” album “Mixtape,” released on Jan.8. All seven songs were written by the members of Stray Kids. The album topped iTunes charts in Finland, Norway, Sweden and the Phillippines.